Flipkart is offering many Apple devices like iPhones, iPads and more at slashed prices and is also offering a cashback of up to Rs 8,000. 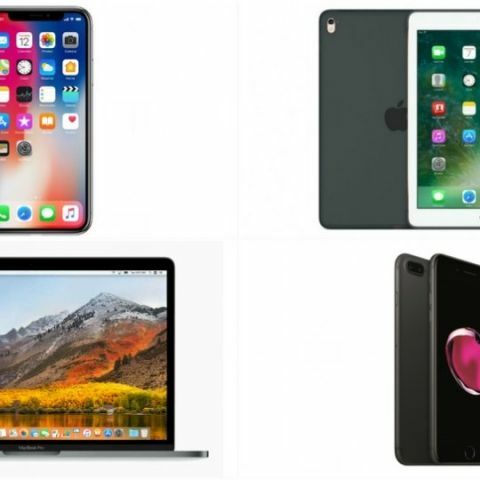 Flipkart is hosting its Apple Week Sale till January 15 and offering various Apple devices including iPhones, iPads, MacBooks and the Apple Watch Series 1,2 and 3 at a discounted price. We have listed the top five deals and offers across the range of devices. This is not an exhaustive list and you can also go through all the deals, which we have already covered here. Flipkart has slashed the prices of many iPhones like the iPhone 7/7 Plus, iPhone 6/6s/6s Plus and is also offering a flat cashback of up to Rs 8,000 on all Apple devices listed in the sale. It should be noted that the cashback is only eligible for buyers who purchase the devices using an ICICI Bank credit card and choose EMI as the payment option. Additionally, buyers need to spend some minimum amount on their credit cards to be eligible for the cashbacks, which will be credited back into a customer’s account by April 15. So let’s take a look at the top 5 deals. The iPhone SE (32GB) has received an unofficial massive price cut of Rs 7,000 and can now be purchased at Rs 18,999. On paying a minimum of Rs 15,000 using their ICICI credit cards, customers will also receive a cashback of Rs 2,500. Customers can also benefit from the exchange offer and avail up to Rs 18,000 off on exchange. Flipkart is offering Apple’s flagship smartphone, the iPhone X at Rs 89,000 for the 64GB model and at Rs 1.02 Lakhs for the 256GB variant. Buyers will get a flat Rs 8,000 cashback on the device if they purchase it on EMI using an ICICI Bank credit card. However, as mentioned before, customers will have to make a minimum payment of Rs 74,000 on their credit card for receiving the cashback. They can also get up to Rs 18,000 off on exchange. The iPhone 7 Plus and the iPhone 7, which are priced starting at Rs 56,999 and Rs 42,999 respectively. They were previous listed at Rs 59,000 and Rs 49,000. Buyers can club the exchange offer to avail up to Rs 18,000 and Rs 21,000 off on exchange with the iPhone 7 and 7 Plus respectively, but they have to pay a minimum of Rs 32,000 in EMI installments using their cards, for availing an extra cashback of Rs 5,000. The Core i5 5th Gen powered MacBook Air has received a Rs 1,500 discount and is now available at Rs 54,490. Buyers can receive an additional payback of Rs 8,000, given that they pay a minimum payment of Rs 40,000 (in EMI’s). There is also a no-cost EMI option starting at Rs 6,812 with 25% Down Payment. Flipkart is offering the 9.7-inch Retina display Apple iPad starting at Rs 22,900, down from Rs 28,000. The 10.5 inch iPad Pro can also be purchased starting at Rs 58,990 after a discount of Rs 1,000. An additional Rs 2,500 cashback can be availed on both the devices while purchasing them using ICICI credit cards, but buyers will need to keep the minimum payment to Rs 20,000.